For years, San Diego Mayor Kevin Faulconer took a back seat to the City Council on how to regulate vacation rentals. After many failures, now he has released a proposed list of restrictions and fees. A hearing is set for July 16. Thursday, Mayor Kevin Faulconer is set to announce long-awaited vacation rental regulations that would allow residents to rent up to two homes. Only homeowners with more than five bedrooms would need a permit to operate. Faulconer also proposes hiring 16 city staffers, including code enforcement officers, to help enforce the new rules. The mayor’s proposal is similar to a last-minute compromise that City Council members sought in December in a failed bid to approve regulations. That debacle, which followed three years of debate, spurred Faulconer to take the lead on getting regulations to the finish line. 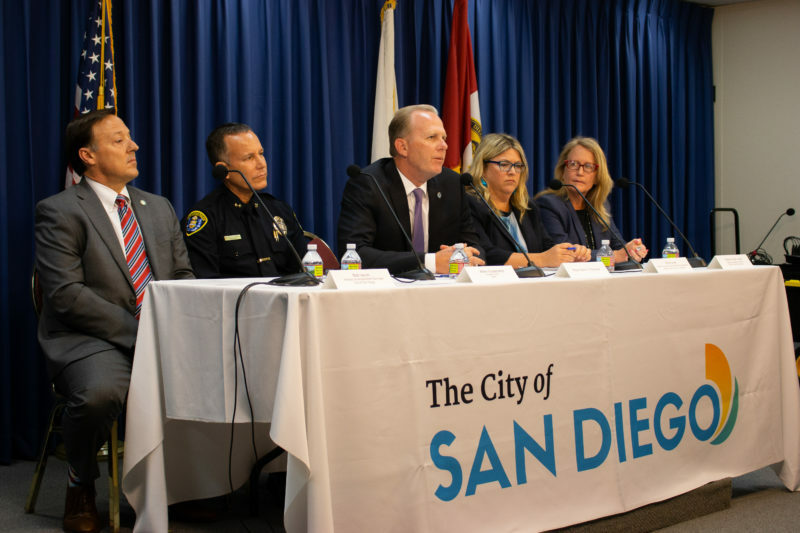 Matt Awbrey, Faulconer’s deputy chief of staff, said the mayor is confident a City Council majority will support his regulatory proposal at a July 16 City Council meeting. In a statement, Faulconer characterized his proposal as a compromise that allows vacation rentals but respects neighborhood concerns. “This is a balanced approach that establishes clear rules of the road for short-term rental hosts and guests and protects neighborhood quality of life through increased oversight and enforcement,” Faulconer said. Lorie Zapf, who is normally on board with Faulconer’s proposals, released a written statement Thursday saying she’s not supporting this one yet. “In its current form, it does not go far enough to give my support, however, I am looking for additional opportunities to support impacted communities, especially the beach communities who are more adversely affected by STVRs,” she said. This post originally ran in the June 14 Morning Report.